Dave Fraschetti, producer of Vin Diego, delivered again in this, the fourth annual two-day, only wine and food festival, held recently at Liberty Station in San Diego. Most of the winemakers and owners were there from prime wine districts like Oregon, Napa Valley and Sonoma, Monterey and Paso Robles. Fraschetti was a corporate marketing manager, who, late in his career got a sudden assignment to put together a major company concert that starred a super pop singer. After a few bumps on the road to the event, he came out with a big success and has put that experience, plus his long-time love of wine, to good use in his Vin Diego events. This year’s show had already sold out when tickets went on sale last year. Wineries love the fact it is wine only at this festival, with no beer and no spirits to bulk up the show. 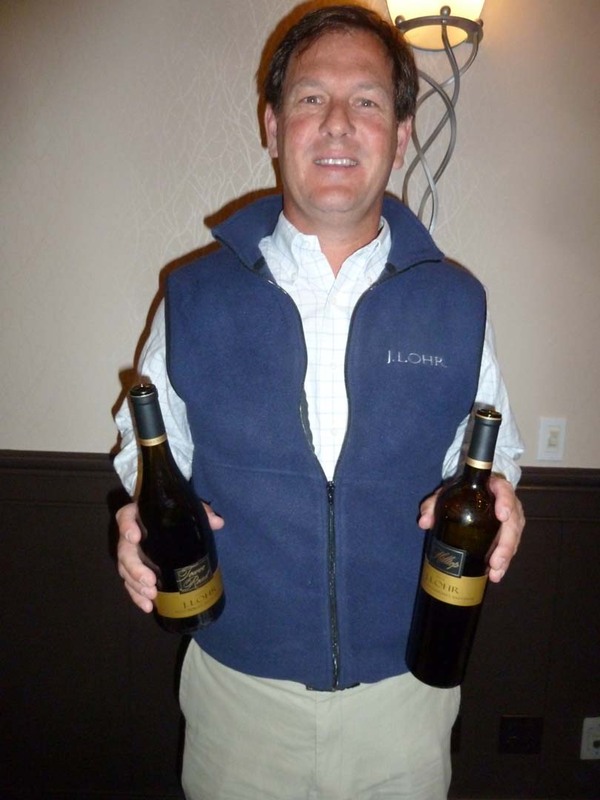 Some wineries at the Friday affair were also pouring some high quality choices like J.Lohr and Senior Manager Bruce Smithan and his Cuvee Series Bordeaux Blends, with six extraordinary wines in the series. There were some lovely Chardonnays and Pinot Noir wines to taste, from tropical tasting Chards to oak style Pinots. 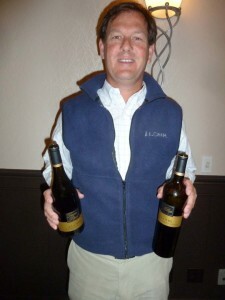 Winemaker Jeff Meier, with owner Jerry Lohr, have, since 1984, crafted wines for every palate and price range. 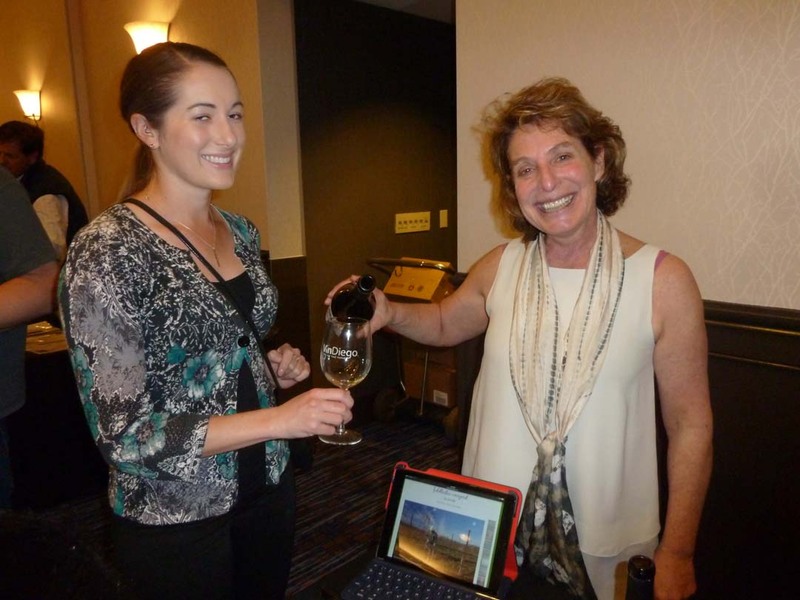 Just some of the other wineries at the event included: Ferrari Carano from Dry Creek Sonoma and Fiddlehead Cellars with owner and winemaker Kathy Joseph. Fiddlehead sources grapes from lesser-known West Coast wine counties like Willamette Valley, Ore., Santa Rita Hills and Happy Canyon in Santa Barbara. Kathy is a gardener of ferns and so while searching for a name early on for her winery, she hit on a memorable botanical term that describes a coiled frond of an emerging fern leaf, a Fiddlehead! And so her winery had a new name. I loved the Oregon Pinot Noir she poured for me, a 2012 “Oldsville Reserve” from the Willamette Valley, with a distinct cherry and plum taste, with savory herbs to garnish. There were just 450 cases produced. Look for it when it returns in April 2017. It’s a must attend event. Visit vindiego.com. Adult students can now receive a Professional Certificate in Wine, Beer and Spirits in a comprehensive program at Cal State University San Marcos, with a campus in Temecula. There are seven courses to complete for the certificate. Each class is five weeks, three hours a week, with part lecture, tours and tastings. Classes will be off site in Temecula and North County at wineries, breweries and distilleries. The university is looking for industry experts to teach in the program, beginning with the Foundations of Wine that starts June 2 to June 30. For more information email Wendy at Wevers@csum.edu. For all seven courses go to csusm.edu/el/wbs. Seasalt in Del Mar has a Gundlach Bundschu Wine Dinner, April 27 at 6 p.m. This is one of Sonoma’s historic, most respected wineries, paired with Chef Hilario’s master dinners; $55. RSVP by calling (858) 755-7100. Feature entrée is Kobe Beef braised short ribs in red wine, paired with Cabernet Sauvignon. Vittorio’s in Carmel Valley is planning a special five-course wine dinner featuring Napa Valley’s Chateau Montelena, April 28 at 6 p.m. Featured course is a grilled and sliced Filet Mignon with a Montelena Estate Zinfandel 2013; $65. To RSVP call (858) 538-5884. Gianni Buonomo Vintners urban winery in Ocean Beach presents a Barbera Fest April 30 from 1 to 5 p.m. Italy’s Barbera and California Zinfandel will be featured; $30 includes glasses of Barbera and Zinfandel plus a picnic lunch. Bring your Fedora, the icon for the winery. Purchase tickets at Eventbrite.com. The Best of North County Party, presented by San Diego Magazine April 29 from 6:30 to 9:30 p.m., is at Omni La Costa Resort. It features the top restaurants, wines, breweries and businesses; unlimited food and drink samples. Top chefs will make appearances. Prices start at $80. Ticket information at sandiegomagazine.